The “W” is our most popular model. 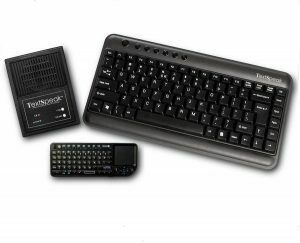 The small footprint, wireless portable keyboard is perfect for Adults and Seniors who can type on a standard computer sized keyboard. 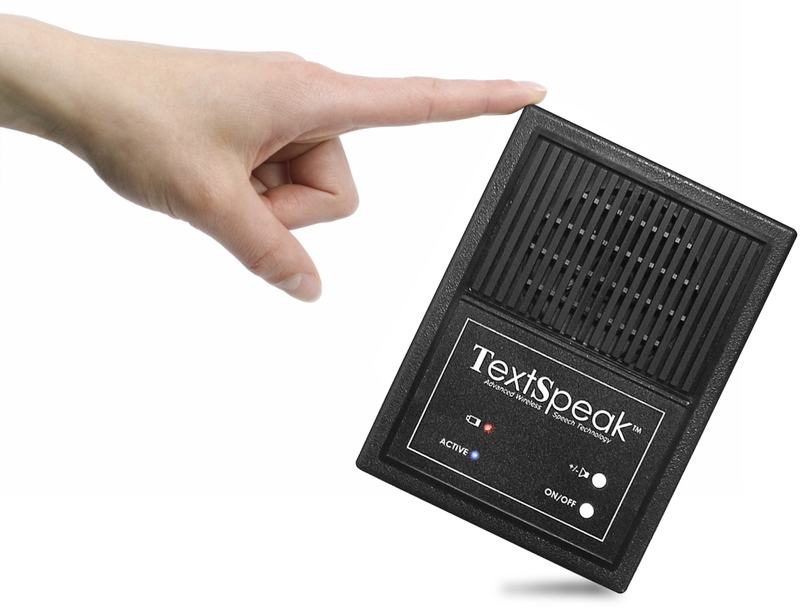 A great choice for laryngectomy, throat cancer and post operative patients. 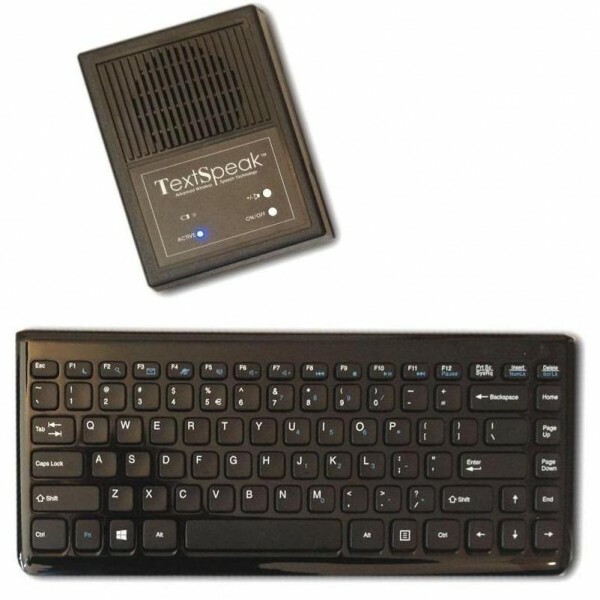 The TS04-W is a sleek portable wireless keyboard with automatic ON/OFF power(12″ wide, with standard keys). 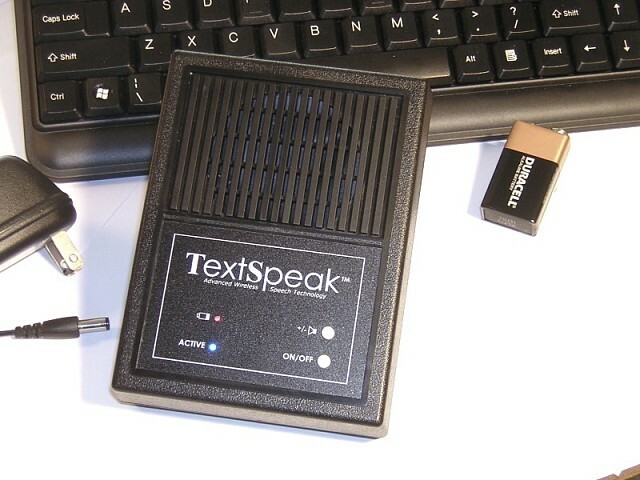 Simply turn on the power and start typing to talk!.